If the person who says these words is important to you they hurt a lot more. And what if it’s someone in authority, someone who has a certain authority or power over you? A teacher, director, boss or… your doctor/specialist? Then there’s a great chance that you accept the words to be true and that they shock you very deeply. – It hit me like a ton of bricks! – I nearly fainted when the doctor said that. – I hadn’t been expecting that at all! – It was as if my throat was being squeezed shut. – I just shut down. – It was as if the ground had opened up beneath me. – My worst nightmare… the moment I heard the diagnosis from the doctor. – I felt the life flowing out of me. 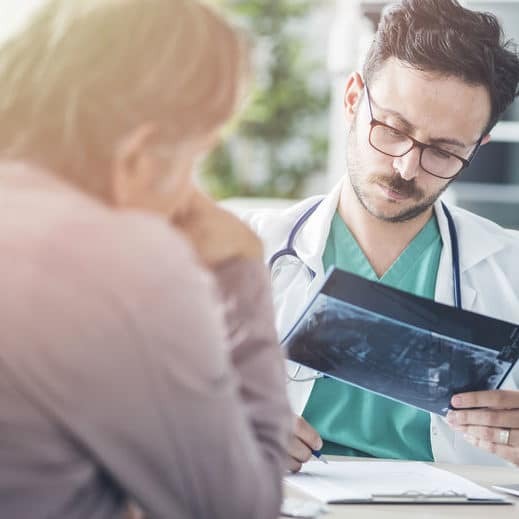 Getting the results of a medical test can have serious consequences for you. Beforehand you’re already thinking about what it could be and are tense. Once you’re at the doctor’s office, you can shut down completely and become numbed when there are bad results. It’s at that moment that you can’t really listen anymore. Everything that is said after the diagnosis goes over your head. You are completely taken by surprise. This is the reason you should never go alone to hear test results. Nowadays, there are volunteers in many hospitals to help explain what the doctor said and what options you have. Always take someone with you who can write the doctor’s words down so that later, when the shock has subsided a bit, you can more calmly talk about it. The good thing is that you can deal with the shock of a diagnosis more quickly, if you’d like to. For example, by using the MIR-Method. Right after the appointment with the doctor, you repeat what he said while stroking your hand. Keep repeating the sentence he said just as he said it. Exactly the words that hit you so hard. You continue to repeat them until you begin to yawn or sigh. After that, you do the 9 steps of the MIR-Method. It’s that simple. By doing this, you take the charge out of the words. By stroking your hand, you reassure yourself. Your subconscious receives an enormous amount of stimuli through the nerves in your skin. These stimuli give your brain the signal, calm down, it’ll be all right, and you’re safe. By doing this, you take the intense charge out of the doctor’s words. Because otherwise, the words will continue to echo around your head and thunder around your system, feeding your deepest fears. It’s very bad for your health when your fears are constantly on high alert. So give peace to the words. You don’t allow the diagnosis to get worse. You prevent a “nocebo effect”. What is a “nocebo effect”? The “nocebo effect” is the opposite of the “placebo effect”. It was discovered with people who incorrectly received a negative diagnosis. They became ill. And when apologies were made to the sick people and the diagnosis was corrected, people got better! When you have a negative idea about the future, your body reacts with tension and fear. If that stays in your system for too long, your whole body reacts to it and you get sicker. By giving an unfavorable diagnosis, someone in authority can create a negative expectation, whether or not it is a correct one. The effect will be even greater with insecure, sensitive people. If the negative expectation is believed strongly enough, it can seriously weaken the self-healing ability. In the meanwhile, it has become ever clearer that a diagnosis is a set of words and that the consequences are in your hands. Through many examples, it has become ever clearer that people are capable of a lot more than they think they are. Many examples of people that are healthy, in spite of serious diagnoses, show this. People are becoming more aware, learning more and see more examples around them that show that healing often still is possible. It provides hope and it causes people to not lose courage. And… it’s an enormous help when the people around the patient have the same attitude. An attitude of support and positivity. Let the MIR-Method help you with this as well. I wish you an increasing health! And how about you? 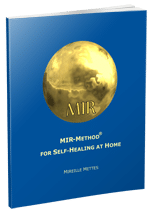 Have you been through this, received a diagnosis, and helped yourself with the MIR-Method? I’d love to hear about it. Please write about it below. Thank you!